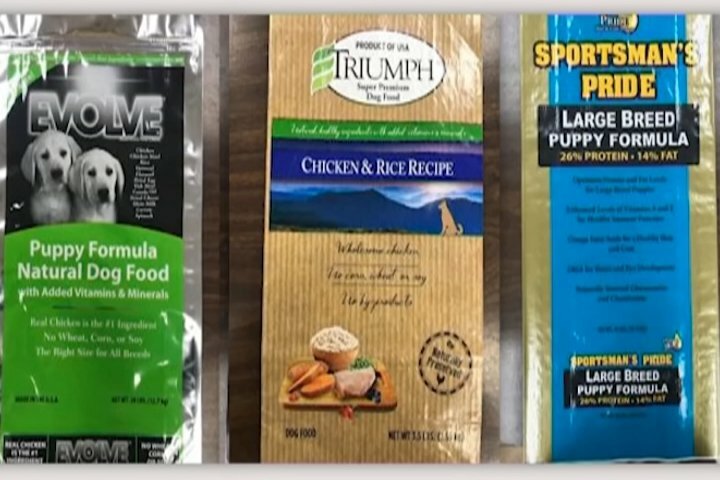 More dog and puppy food is being recalled because of toxic levels of vitamin D.
The recall was first issued last week. 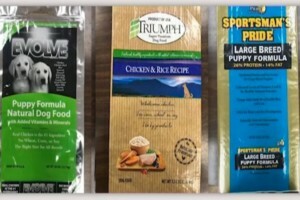 It included Sunshine Mills’ Evolve for puppies, Sportsman’s Pride for large breed puppies and Triumph chicken and rice. The recall has now expanded to several more brands including Nutrisca, Natural Life, Abound and Nature’s Promise. The FDA says the levels of vitamin D in the products could lead to kidney failure for your pet. If you’ve bought any of the recalled products, you can return them to the seller for a refund. The affected bags have different recipes and dates. Click here to find the complete list of recalled products.